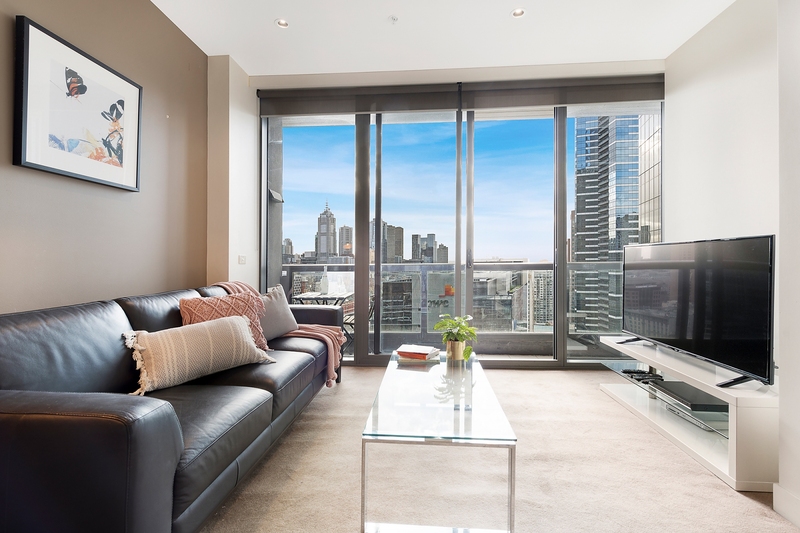 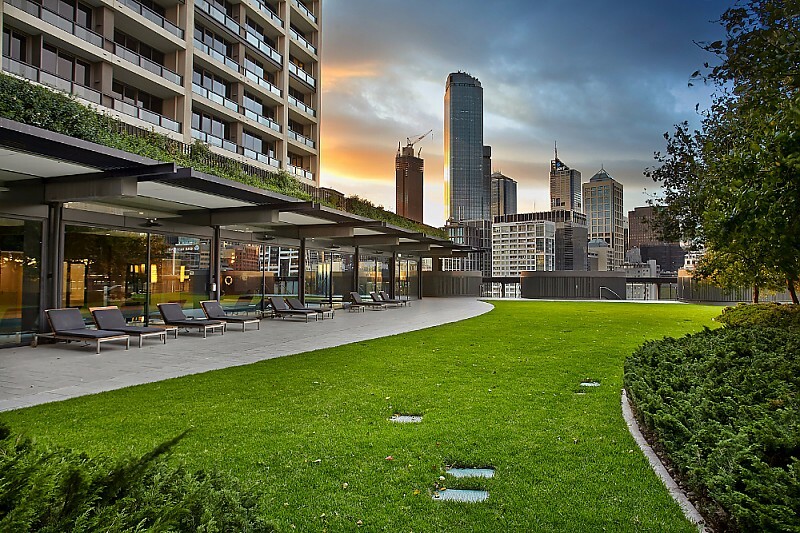 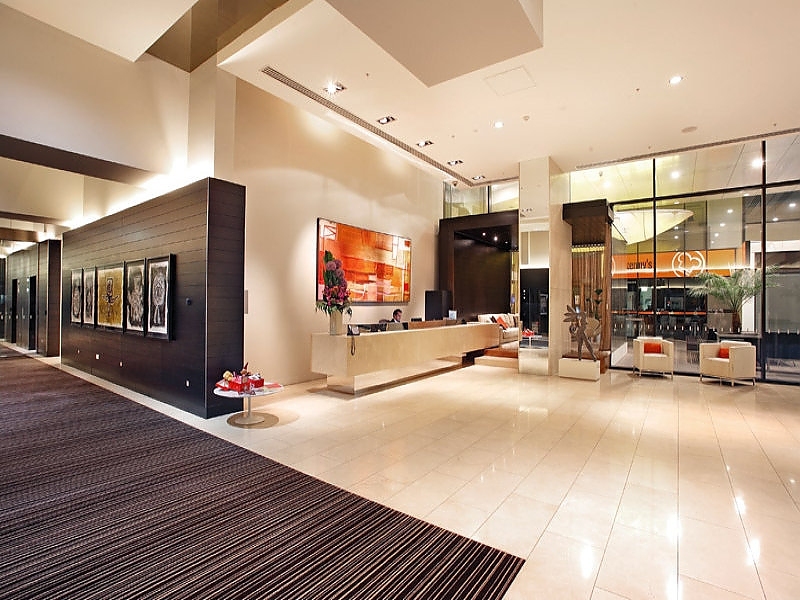 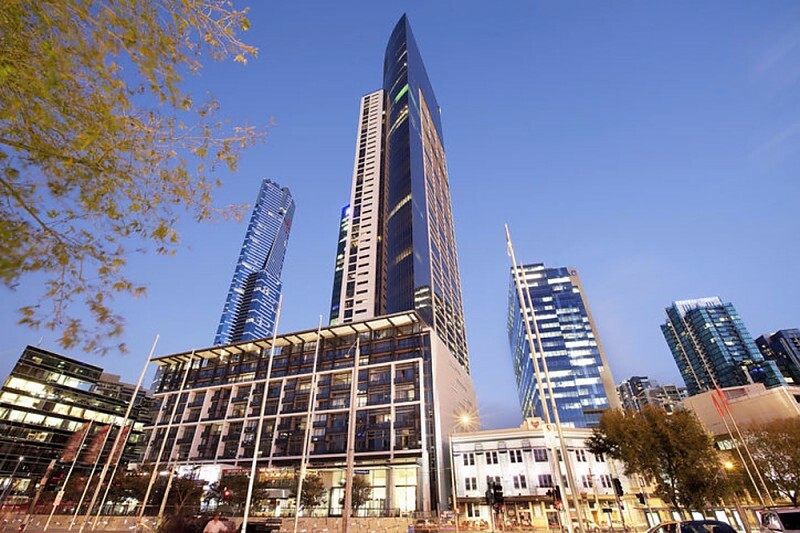 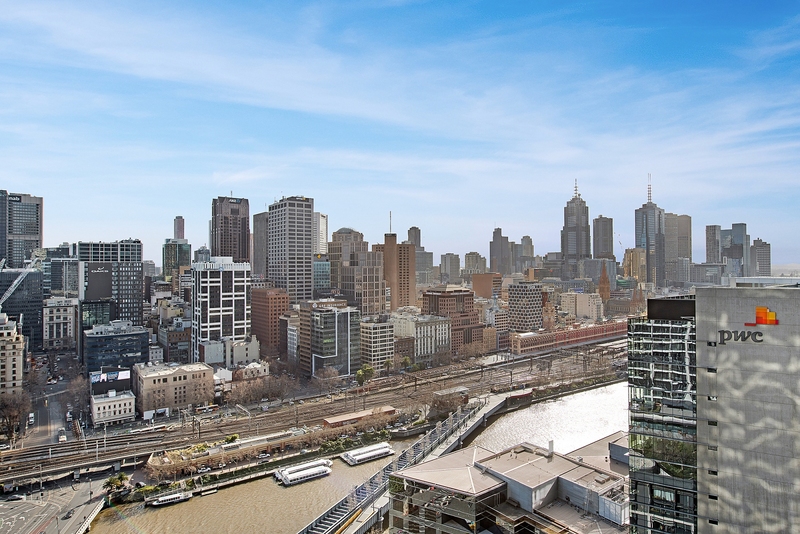 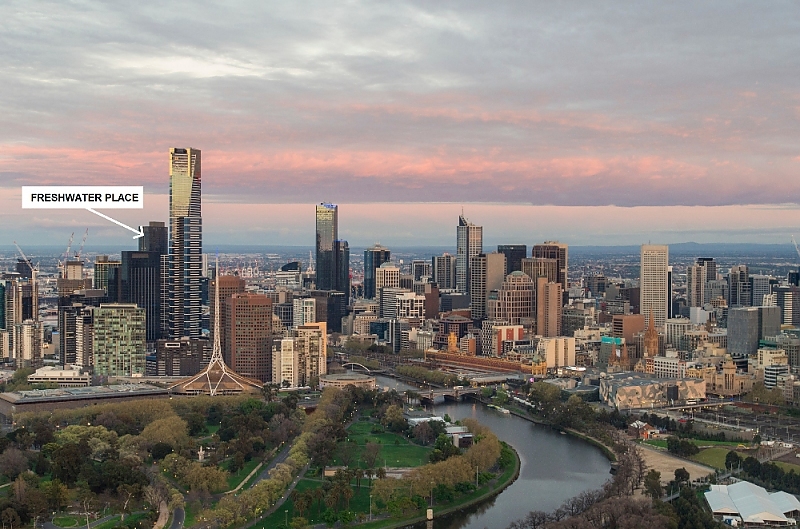 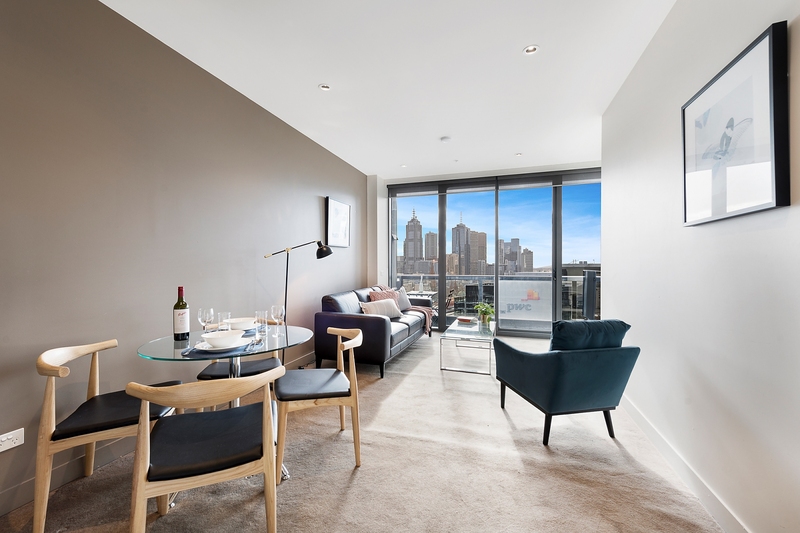 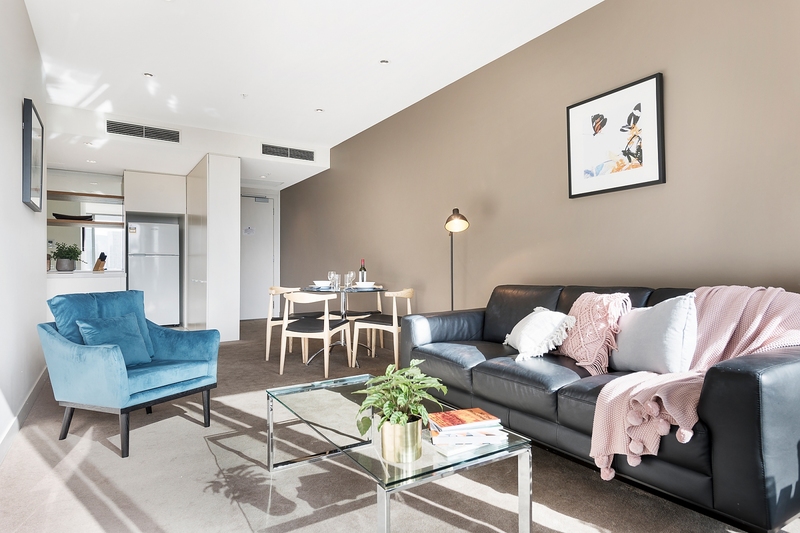 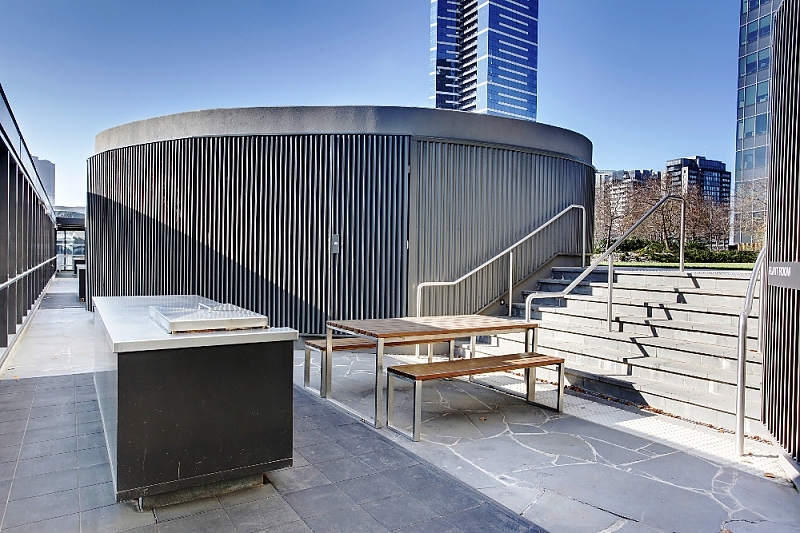 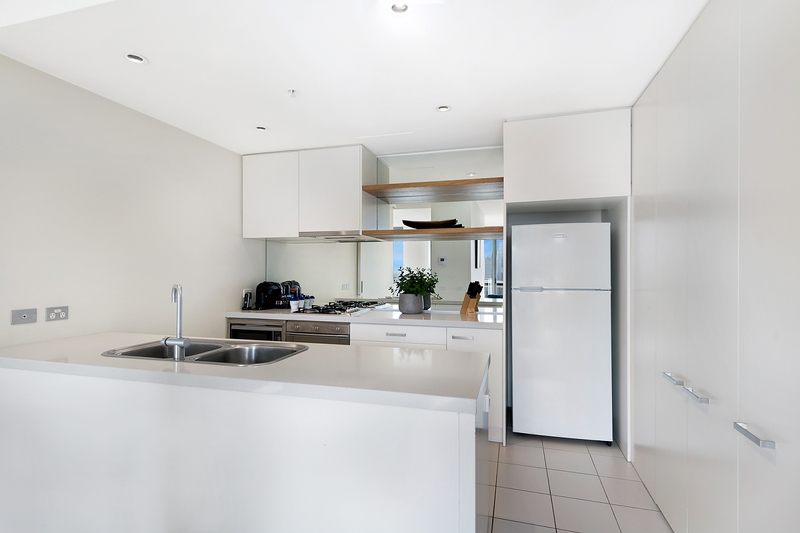 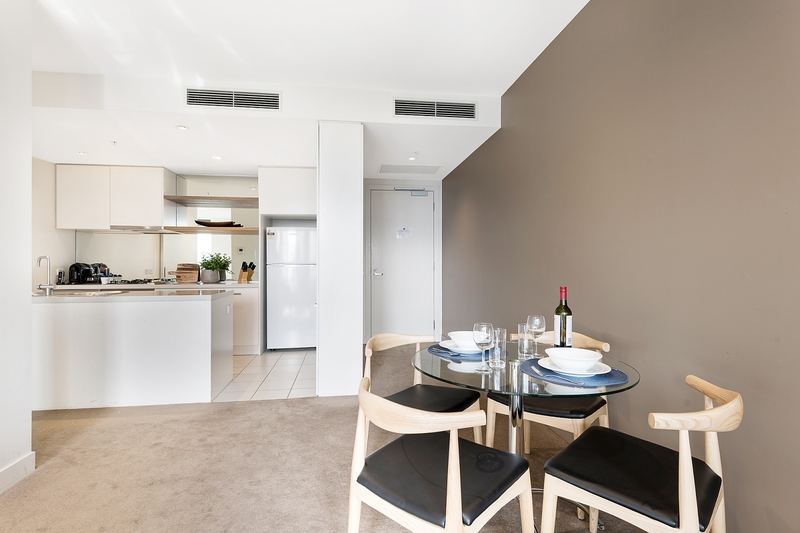 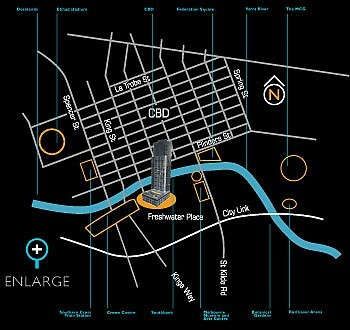 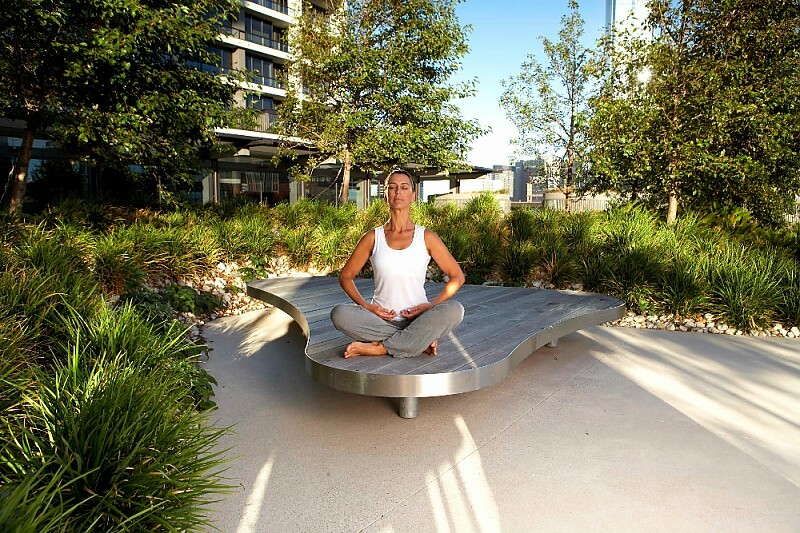 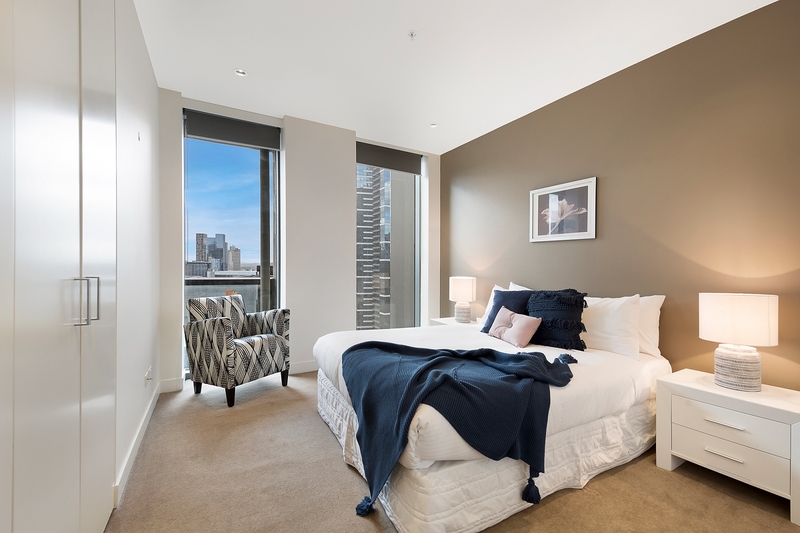 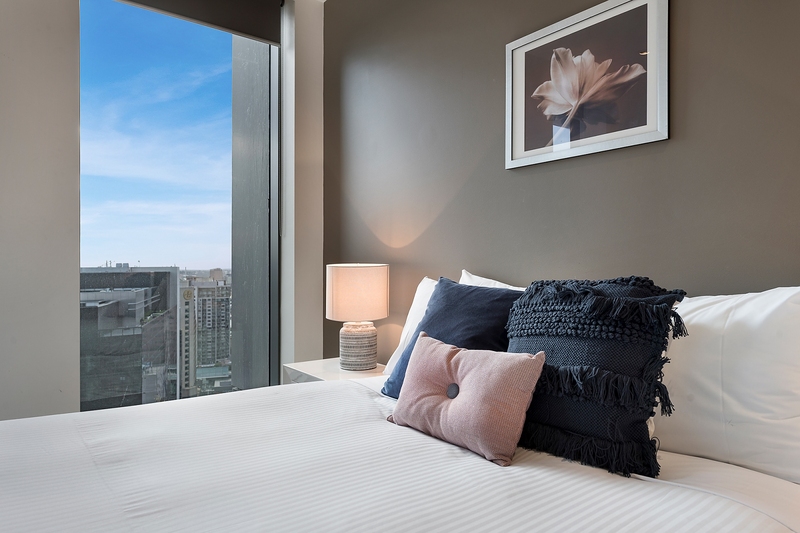 Panoramic city views to the horizon star in this one-bedroom security apartment with balcony, set on the 26th floor of a luxury Southbank complex with Melbourne’s best cafes and bars on your doorstep. 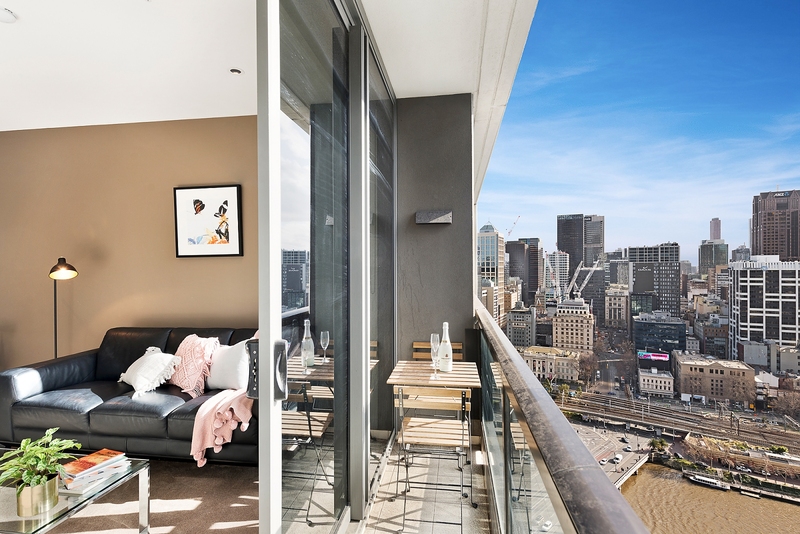 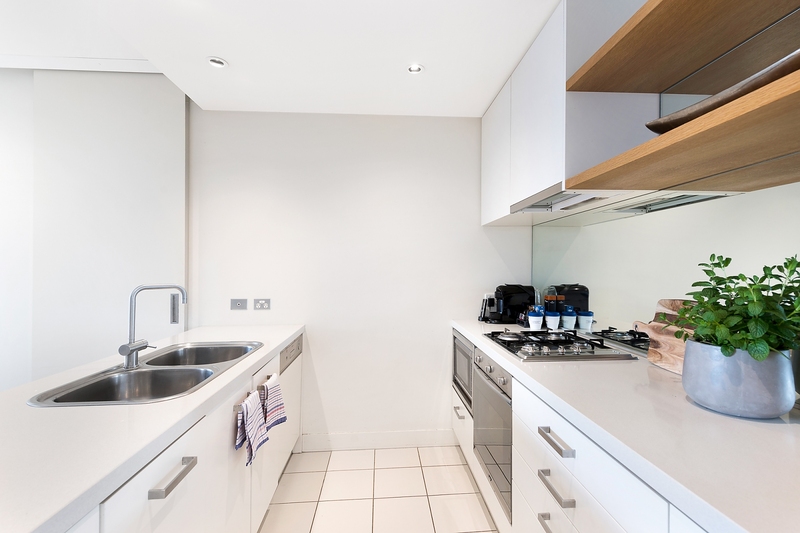 The carpeted open-plan living/dining room is stylishly furnished with white leather lounge and dining chairs, and opens onto a balcony with stunning city and river views. 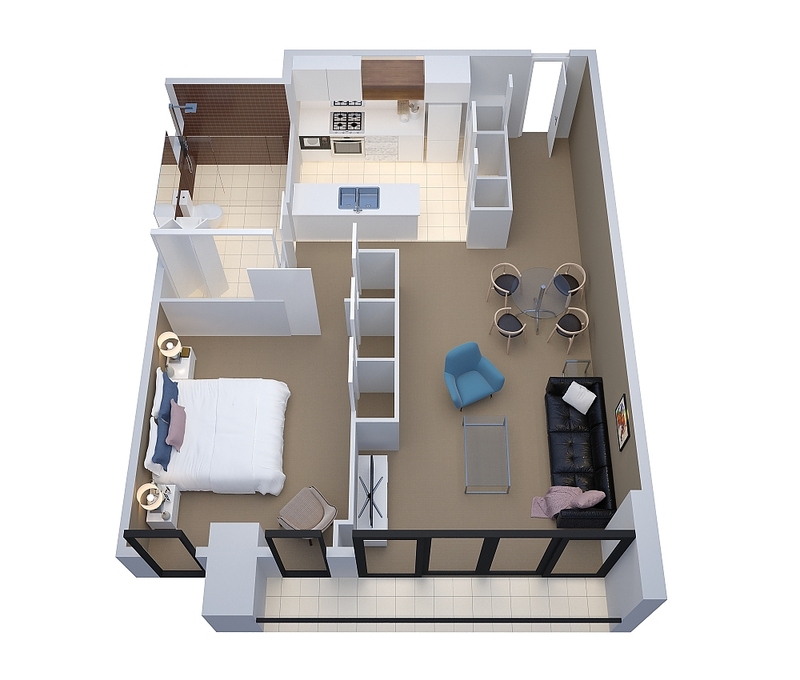 You’ll also enjoy all the conveniences of home in the full-sized kitchen with breakfast bar, white stone bench tops, mirrored splash back, large pantry, gas cooking and stainless steel appliances including dishwasher and microwave. 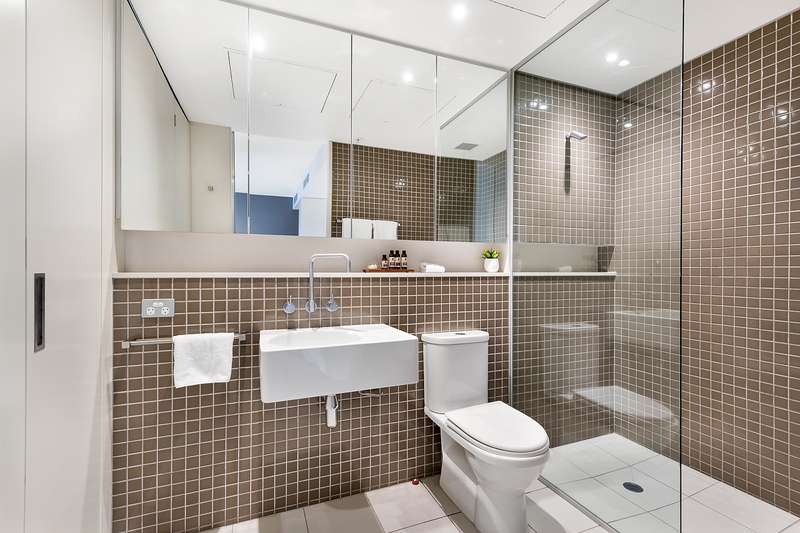 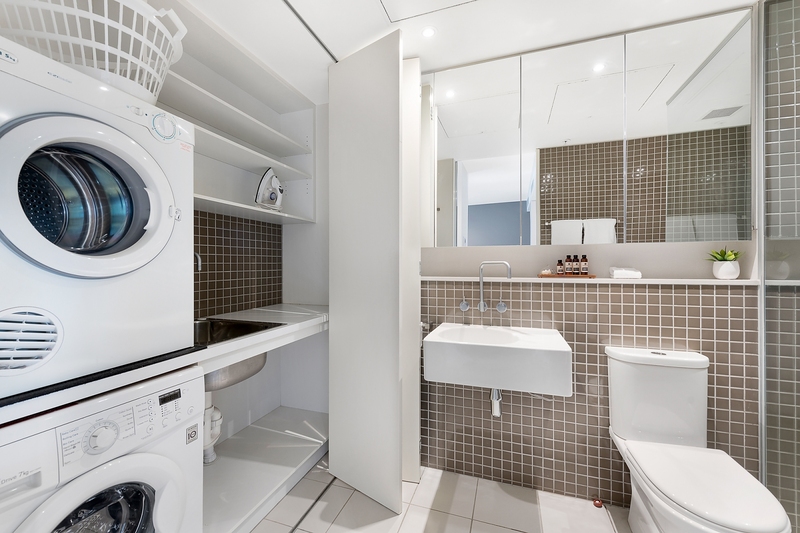 There are two built-in robes and bright city views to the carpeted bedroom, and the immaculate modern bathroom with large frameless glass shower and wall-to-wall mirrored cabinetry features a European-style laundry with washer and dryer. 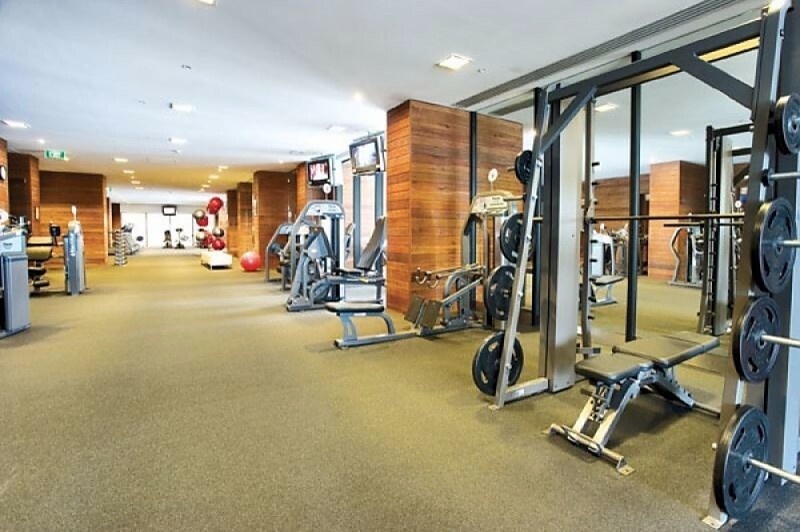 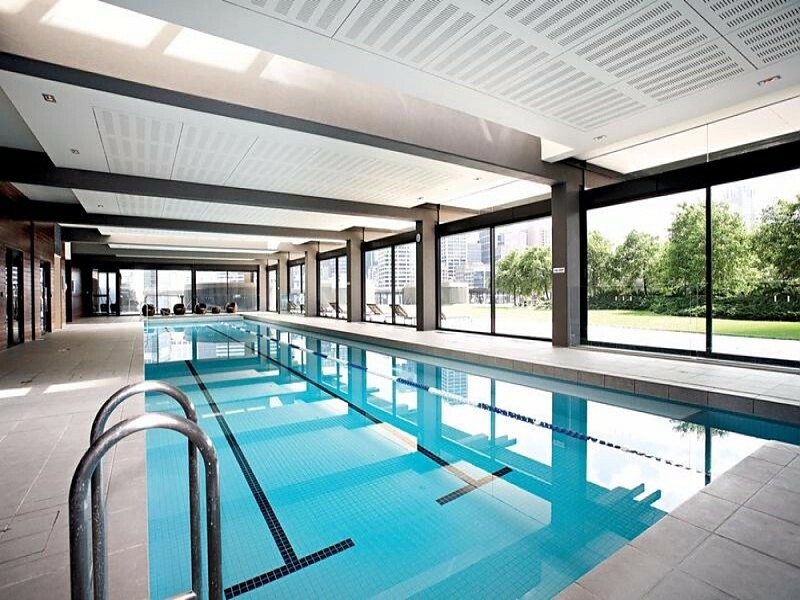 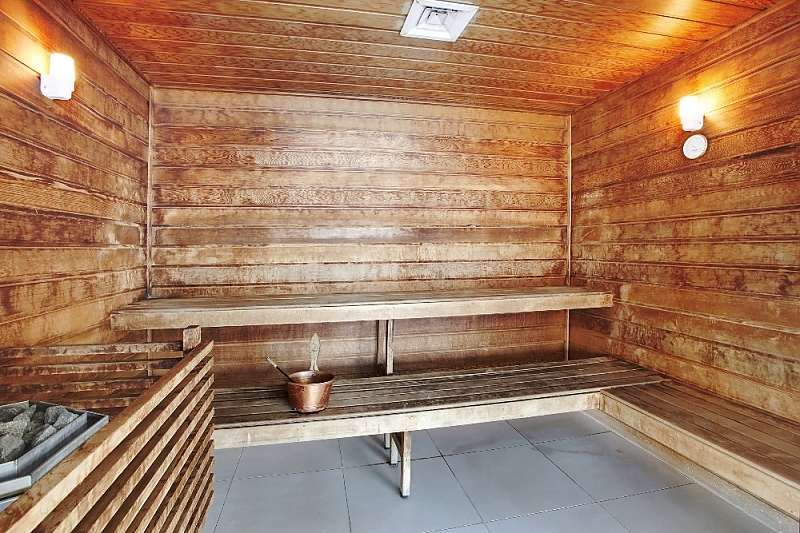 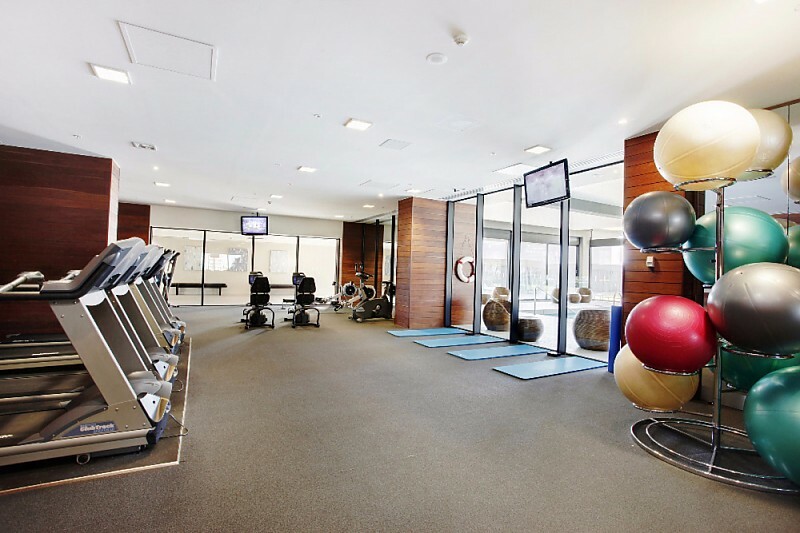 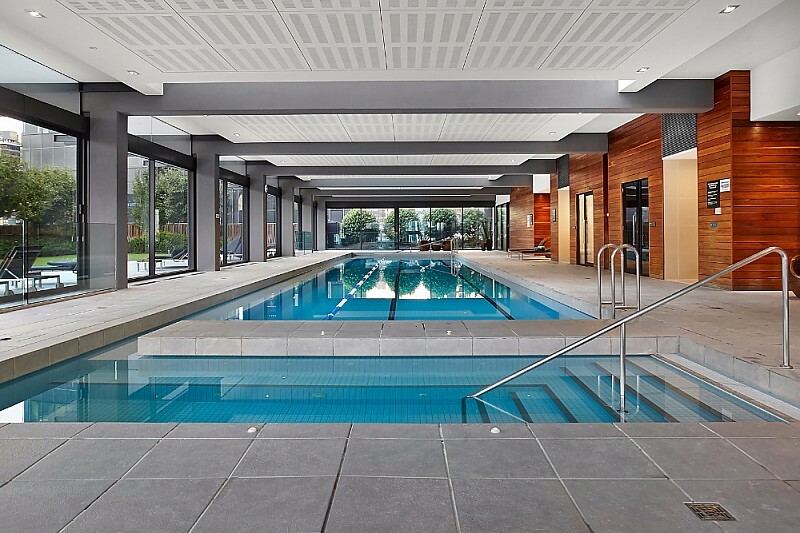 An onsite lap pool, sauna, gym and extensive manicured gardens with barbeque facilities complete the package.